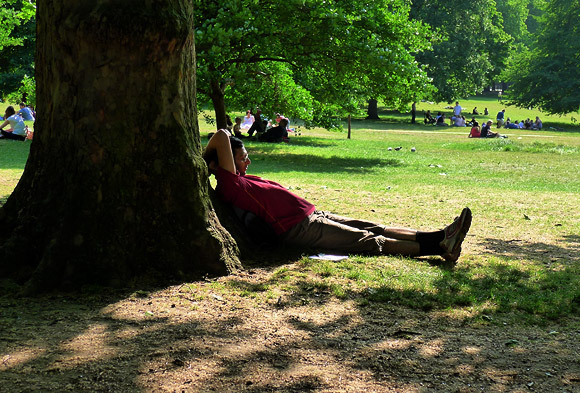 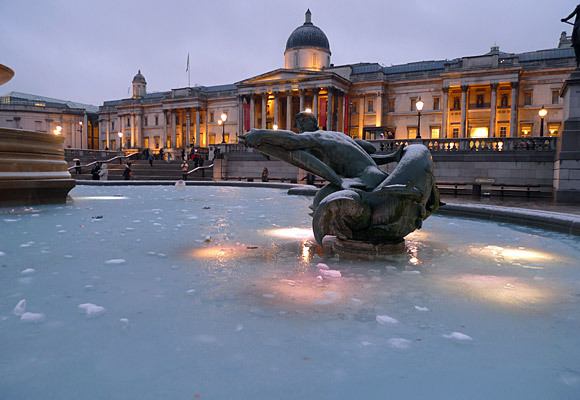 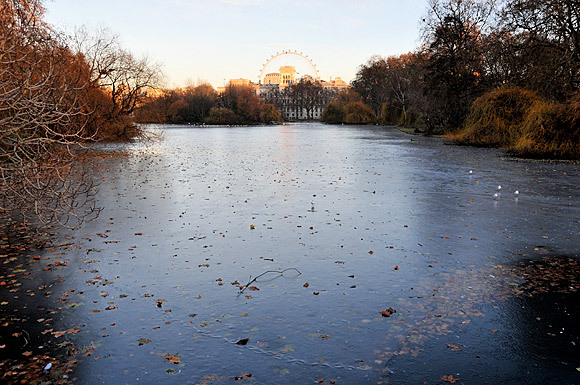 Britain has been gripped by a cold snap that is turning December into one of the coldest on record. 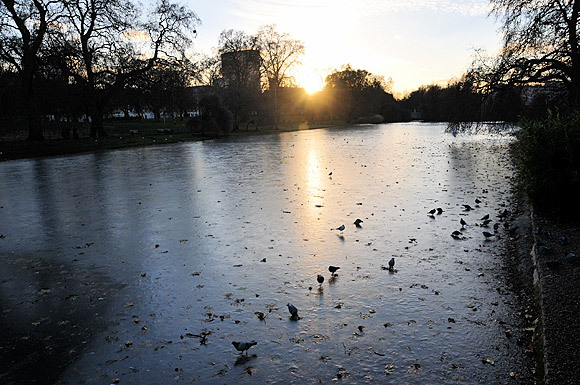 The lake at St. James’s Park – a 23 hectare (58 acre) park in Westminster – has been frozen over for many days (although there were a few small areas of exposed water), so I grabbed a few shots. 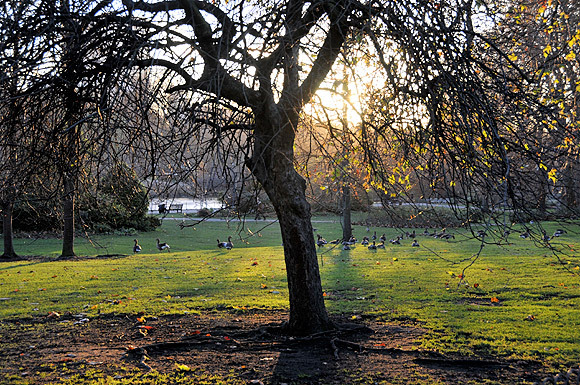 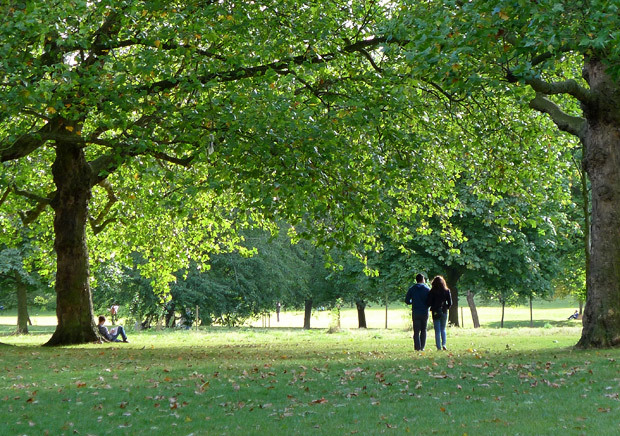 St. James’s Park Lake has two small islands, known as Duck Island (named after the lake’s collection of waterfowl), and West Island. 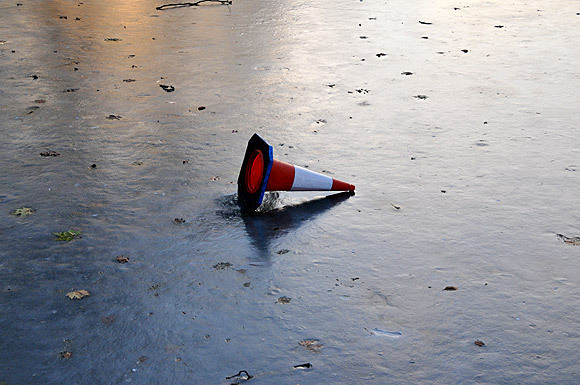 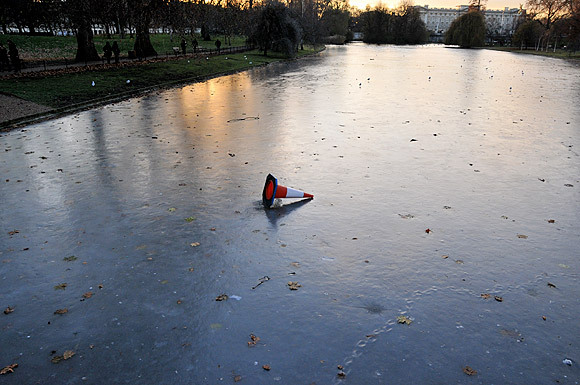 Drunk Brits love to stick traffic cones on their heads, and when the weather turns icy, lobbing them onto frozen lakes often seems to elicit a few LOLs.